After yesterday's killer day at Chatel, my legs were a bit tired this morning, so I didn't get on the lifts until 10:30 and went straight to Avoriaz (you don't pronounce the "z" at the end), the highest sector in the Portes du Soleil. Altitude is all important in the Alps, so no surprise that Avoriaz has the most reliable conditions in the region. It's also enormous and it's almost laughable how the trail map doesn't give you an idea of how big the scale is here. Since I was solo and the light was a bit flat, I spent less time in the offpiste and more time "clucking around" to learn the lay of the land. Still, I got some great, long untracked shots. The upper 2,500 vertical feet is all above treeline and vast: a sea of white. As mentioned before, there are atmospheric restaurants literally everywhere with top-notch food and drink offerings. Don't expect any deals at this altitude -- my goat cheese salad, beer, and blueberry tarte came to $22. It's way above and beyond what you get in the States (with the exception of the obvious Deer Valley-type places) and worth the extra shekels. Not something that I could afford on a regular basis, but on a once-a-year vacation, you go for it. Also, compared to the States, where people usually eat indoors due to the elements, a large majority of the time, you can eat outdoors comfortably and lounge in the sun, complete with a snow dog in the sky. 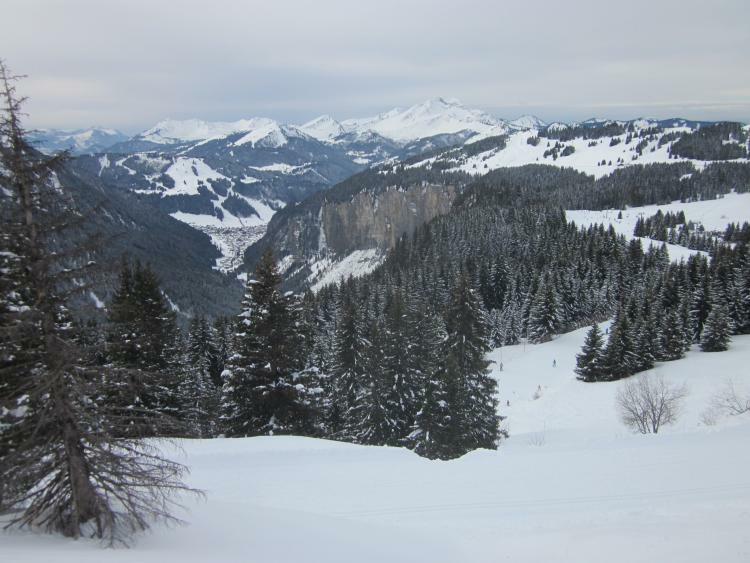 Eventually, I skied into the purpose-built village of Avoriaz, which sits at almost 6,000 feet. It's a huge development; this is maybe a sixth of it. 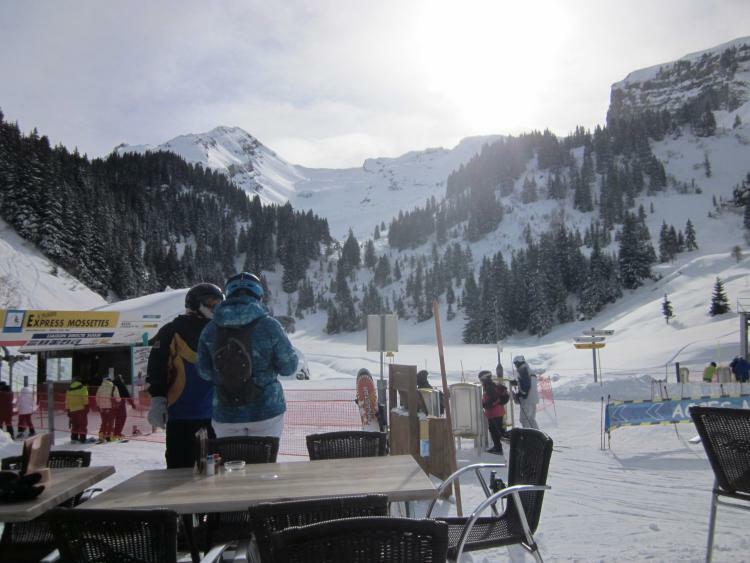 Avoriaz has two big selling points. From a skiing perspective, It's unquestionably the best location in the Portes du Soleil with easy access to all of the major sectors. It's also 100% car-free; there are parking lots on the edge of the village and in underground areas, and you either use a sled to move your things around or hire a horse-drawn sleigh, which seem to be everywhere. The fine print is aesthetics and while it's easier on the eyes than some of the 1960s monstrosities that were thrown up in the very best ski locations throughout the French Alps, it reminds me too much of the French "HLM" housing projects that you see in the outlying areas of big cities. Personally, I'll always trade a bit of convenience for a real mountain town and that's why I stayed the first three days in atmospheric Les Gets and the last three days in equally cute, but more bustling Morzine. Eventually, I headed back down to Morzine, which you can see in the distance beyond a huge stone cliff. 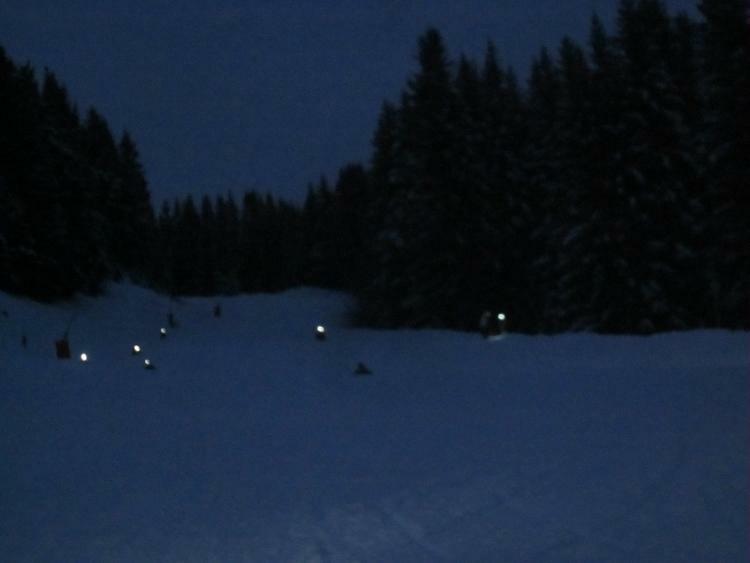 At 5:30 pm, I tried something completely new to me: "la luge nocturne"/night sledding (or as the many Brits here would say, "sledging"). 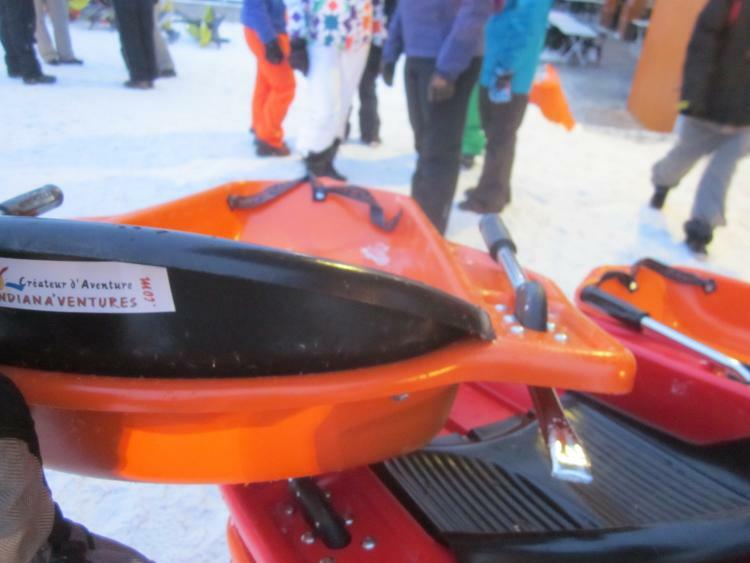 About 50 of us took the Pleney gondola to mid-mountain, where a winch cat was at work. And off we went -- half of us in a French-speaking group followed by the other half, a contingent of young UKers -- down a twisting 2,100-vert run. Even though the trail was at steepest a mild blue, things really got moving with a bit of pitch and you quickly learned that it wasn't as easy as you thought. You really had to feather the brakes to make sure that you didn't turn too fast, in which case, a violent endover was the result. There was also the occasional bumper-car effect as 20 of you are racing down the slope, trying to avoid people who'd crashed, and trying to avoid crashing yourself, and if you followed the person ahead of you too closely, you'd get blasted by his or her "exhaust": snow kicking up from the brakes scratching on the snow, making it really tough to see. By this time, it was completely dark and there was no point in trying to take photos. We went through two narrow glade trails and alongside several steep dropoffs in the woods alongside the trail. If you screwed up and ditched into the trees (which was not out of the question): not good at all. 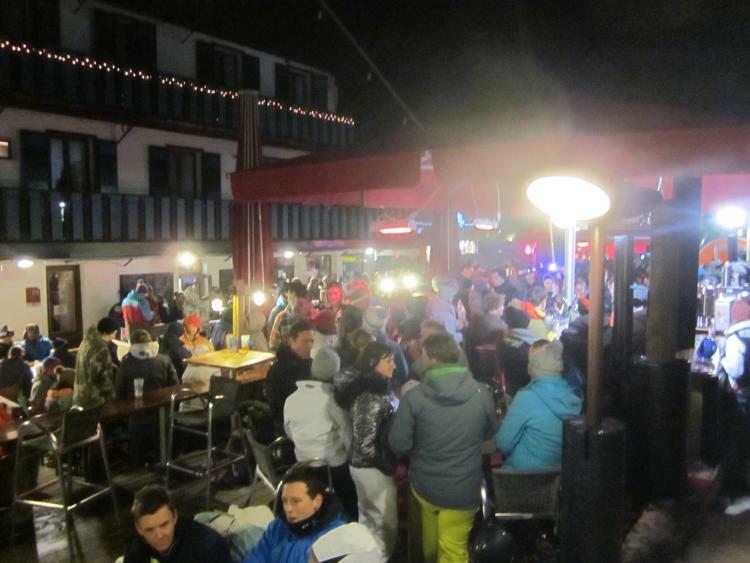 Finally, we arrived at the bottom of the mountain, the scene of an apres-ski outdoor party. In short, it was way more fun (and more challenging) than I had expected and I'd do it again in a second. Moreover, hats off to the French, where lawyers clearly haven't taken over because in the U.S. I'd bet that ski areas' legal teams would be all over this and demand a multi-page denial of liability. Has anyone seen this at any stateside mountains? jamesdeluxe wrote: The upper 2,500 vertical feet is all above treeline and vast: a sea of white. I think I just got a touch of vertigo looking at that pic. After you finish the various days trip reports, could you explain a bit about how you planned this trip and logistics? 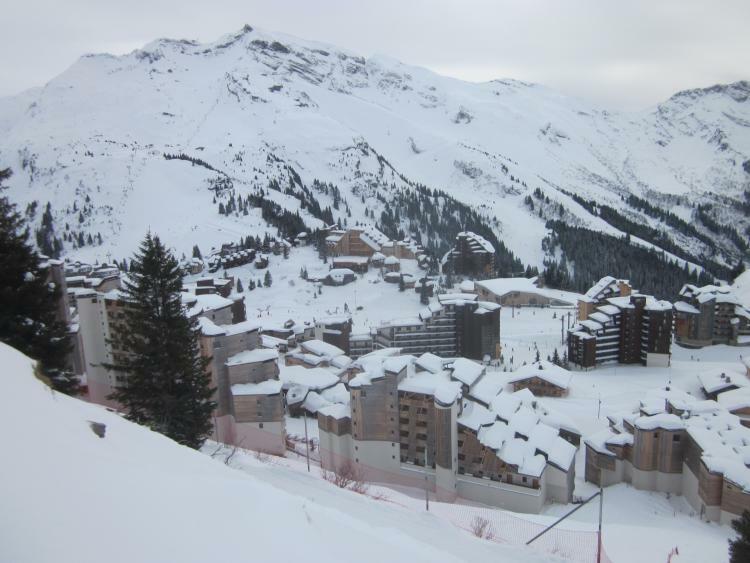 Avoriaz is one the Alps' best powder stashes according to Fraser Wilkins of http://www.weathertoski.co.uk/ . It's in the northwestern edge of the Alps, catches the leading edge of storms sort of like Sugar Bowl in the Sierra. It can have some of the same low altitude/rain issues though. But James has obviously hit a good week. 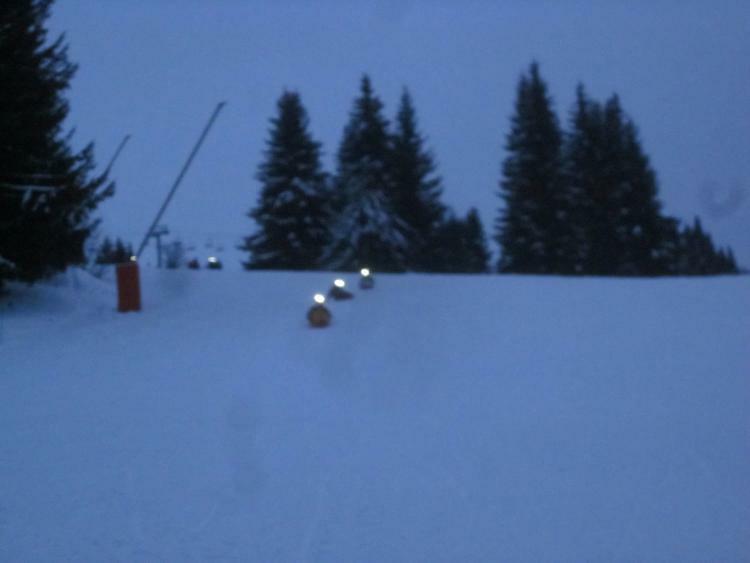 From a ski perspective it's clear that Avoriaz would be the most convenient base. How easy is it to get over there (or through Avoriaz to the Swiss side of Portes-de-Soleil) if you're based in Morzine or Les Gets? 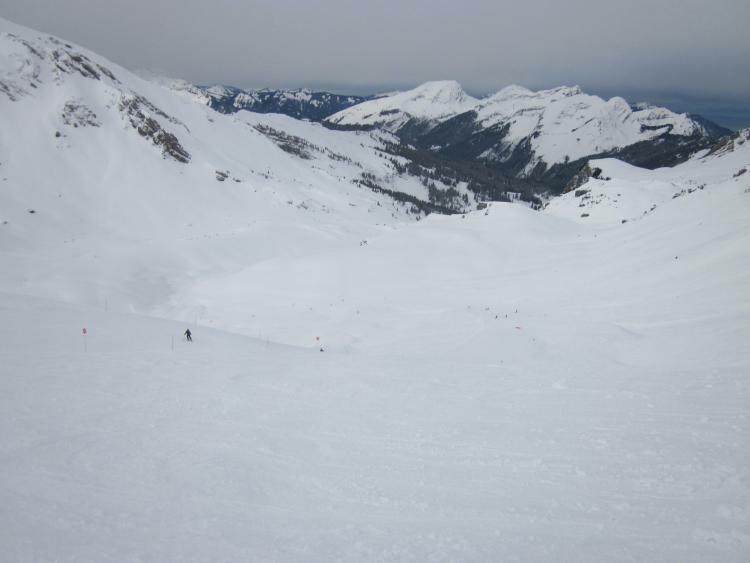 Tony Crocker wrote: Avoriaz is one the Alps' best powder stashes according to Fraser Wilkins of http://www.weathertoski.co.uk/. It's in the northwestern edge of the Alps, catches the leading edge of storms sort of like Sugar Bowl in the Sierra. It can have some of the same low altitude/rain issues though. Oops, neglected to mention that key point. Locals mentioned that ski resorts even a short distance to the south are affected by warmer weather from the Mediterranean. Tony Crocker wrote: But James has obviously hit a good week. 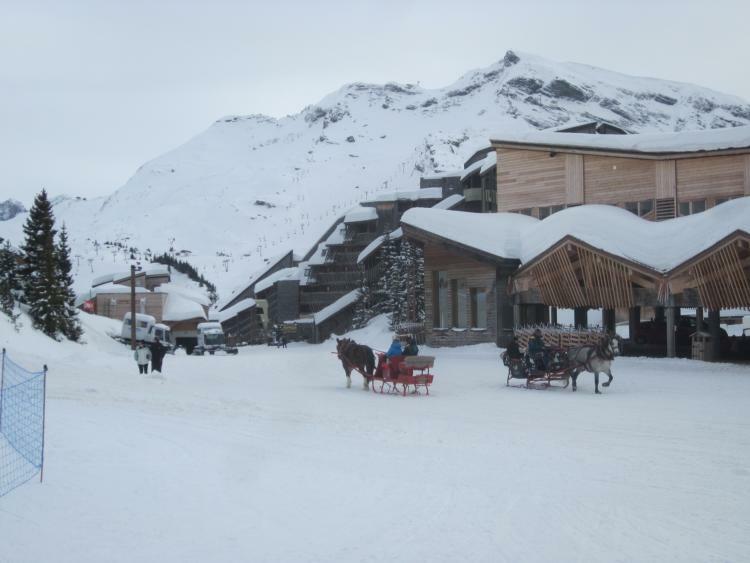 From a ski perspective it's clear that Avoriaz would be the most convenient base. How easy is it to get over there (or through Avoriaz to the Swiss side of Portes-de-Soleil) if you're based in Morzine or Les Gets? Actually, this has not been a spectacular week snow-wise. Following the small refresher snowfalls during my first two days, it's been pretty quiet. 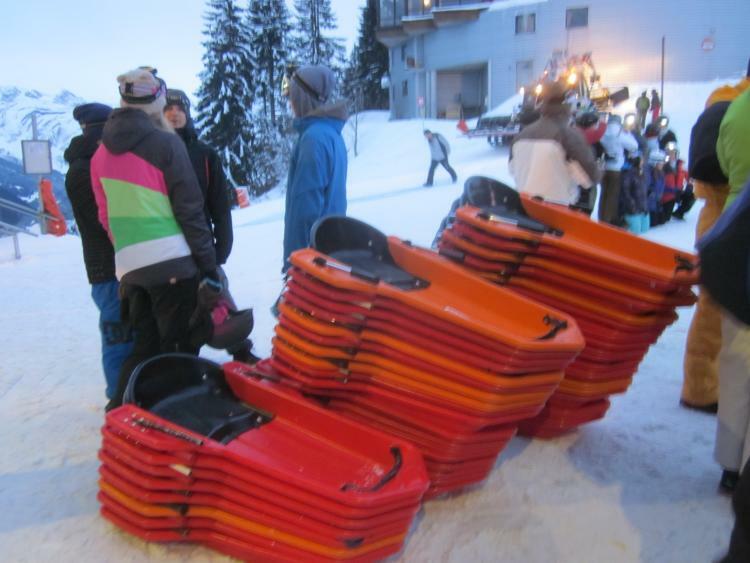 Moreover, the Portes du Soleil has only lived up to its name on Tuesday at Chatel. The other days have been varying degrees of overcast and sometimes tough flat light. Luckily, for my final day, I'm looking at clear skies, so at least it'll be good for photos. The fact that there's been so much in the way of soft offpiste leftovers as seen in many photos speaks well to the region's snow preservation when there are no liquid precip events. I'm unsure if this has been an outlier week for that; however, locals claim that the PdS unfairly gets a bad rap given the ability of upper elevations to hold onto snow. Tony Crocker wrote: How easy is it to get over there (or through Avoriaz to the Swiss side of Portes-de-Soleil) if you're based in Morzine or Les Gets? From Morzine, you spend maybe 25 minutes on various lifts getting over to Avoriaz, but from Les Gets, you're looking at no less than 45 minutes, so going across the border from there entails a lot of uphill transport; thus, not recommended if you want to actually ski instead of travel. The combined Morzine/Les Gets sector is already quite big and you can spend a good amount of time checking out the offpiste in the upper sections. Sorry to beat this horse again, but for skiers used to U.S.-sized areas (even the larger ones out west), this place is monstrously vast and with big vertical too. Of course Portes-de-Soleil is huge. That's why I asked about convenient base areas if you're trying to sample most of the area over the course of a week. It's sounds like Morzine is reasonable for that, but Les Gets not so much. Altitude IS low by Alps standards; there's almost nothing over 2,500 meters. 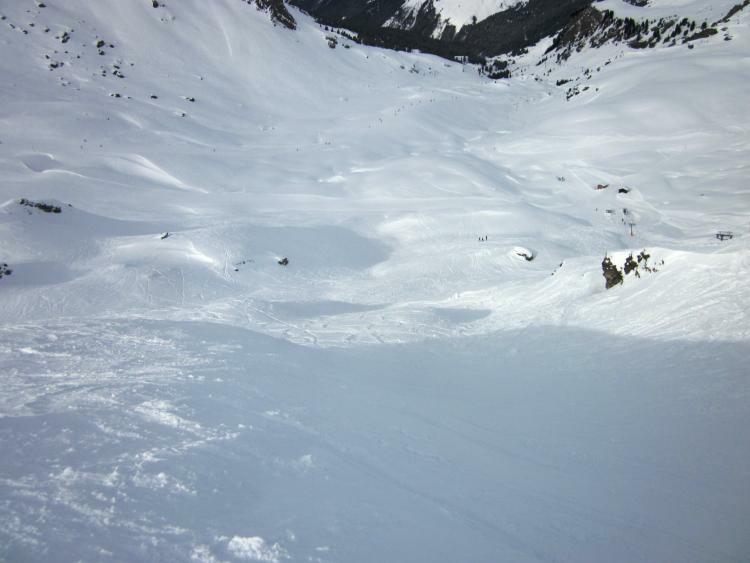 But late January is an optimal time for a low altitude/high snowfall area, sort of like the Arlberg in that regard. 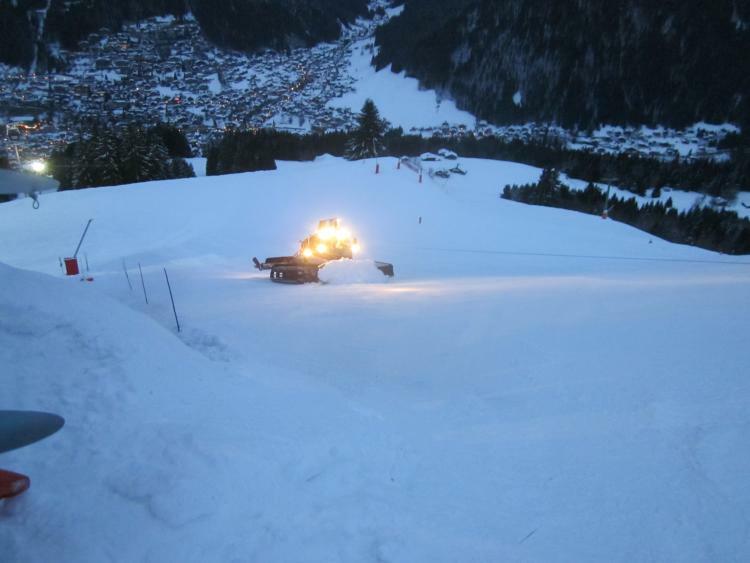 Snow preservation at this time of year rates to be excellent unless it's heavily south facing like Flims-Laax. It sounds counterintuitive but Fraser is quite insistent that rain incidence is highest in the north and lowest in the south in the Alps. Tony Crocker wrote: Snow preservation at this time of year rates to be excellent unless it's heavily south facing like Flims-Laax. The Swiss side of the PdS is predominantly south-facing. Worked out fine on my trip, but would probably get cooked pretty quickly later in the season. Tony Crocker wrote: Of course Portes-de-Soleil is huge. That's why I asked about convenient base areas if you're trying to sample most of the area over the course of a week. 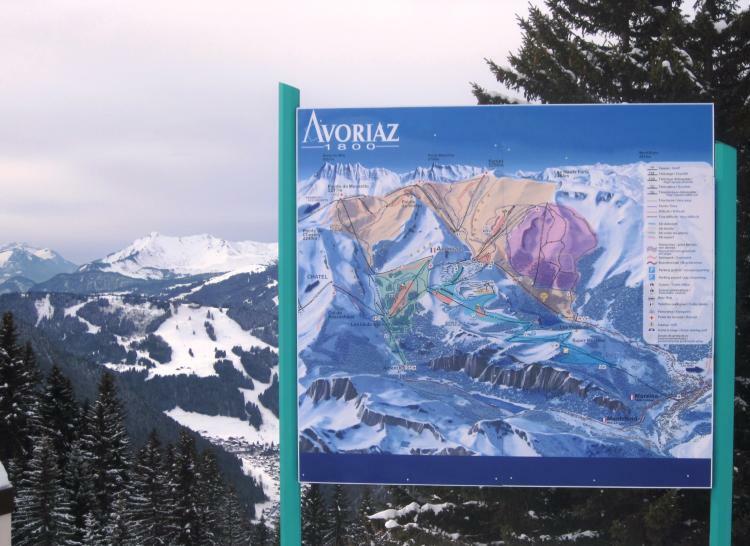 It's sounds like Morzine is reasonable for that, but Les Gets not so much. As mentioned above, if you aren't bothered by the aesthetics, Avoriaz is clearly the best location.